Shared value is defined as policies and practices that enhance the competitiveness of companies while improving social and environmental conditions in the regions where they operate. It is a business strategy focused on companies creating measurable economic benefit by identifying and addressing social problems that intersect with their business. To qualify as shared value, there must be an identifiable economic benefit to the company as well as measurable impact on a social or environmental issue. 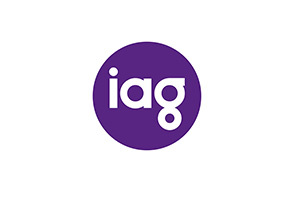 a global idea to a form of business practising at its best, adopted by leading global and Australasian companies. The establishment of the formal shared value concept came at a time post-Global Financial Crisis when capitalism and the reputation of business were under siege. The concept acknowledges the importance of business, with its capital, market access, scale and capacity for innovation, and its capability of having a meaningful impact on societal problems. Shared value considers the social dimension of a company, the relationship between its people, assets, products, services, investments and systems to external stakeholder groups such as communities, suppliers and supply chains, customers and regulators. Ultimately shared value recognises that the creation of both social and economic value as a competitive advantage which can drive innovation and support the long-term adaptation and prosperity of the company. Shared value can be created through different roles and business functions, from supply chain management and research and development to community engagement and sales. It is, therefore, a centralised strategy, embedded in the whole of business planning, and requires reconsideration of employee roles and teams. Examples of social or societal value include improved health, education, access, community participation and employment. Economic value can take the form of increased and sustainable financial returns, brand equity, market share, consistency of supply, or lower risks, as well as more loyal employees, customers, shareholders and investors. Creating new products and services for existing or new markets based on collaboration with customers and community stakeholders to understand societal needs. Example: Life insurance company AIA Australia’s Vitality program targets preventative health problems by incentivising customers to live a healthy lifestyle through a rewards program and lower premiums. Hence creating a healthier customer base and lowering claims costs for the company. Working with suppliers and internal/external stakeholders to improve processes, quality, sustainability, productivity, social outcomes and competitive advantage. 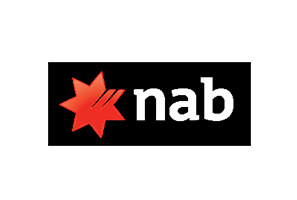 Example: NAB created NAB Assist, incentivising and training all collections employees to recognise, manage, and proactively assist customers in financial hardship, therefore significantly reducing loan defaults and costs for the bank, and increasing the number of clients who seek advise before a collections event. Facilitating the clustering and sustainable development of the market and geographic environments in which the company operates. Example: Bendigo and Adelaide Bank created their Community Bank model, supporting self-selecting communities to run their own branches as franchises, leveraging the bank’s financial services, infrastructure and expertise, whilst reinvesting portions of the revenue into the community to drive long term growth. Shared value is not philanthropy or corporate social responsibility (CSR), because in these cases an organisation’s social contributions are not necessarily intrinsic to business value. How is shared value different from CSR?